You probably know I visited Prague for a few days. At first I just wanted to enjoy some time off with my boy since it was my birthday present to him – but the beauty of this city made me realise I had to share some experiences. So, sit back and enjoy loads pictures and tips! This place definitely was our favourite during our stay. As it is just around the corner from our hotel we decided to give it a try – after reading so many positive experiences and a number 4 rating on Tripadvisor. The food here, as well as the service, is amazing! It is a little mix between the Czech and Asian kitchen. We ended up liking it so much that we decided to go back the second night as well. Definitely worthwhile a visit – also because we only paid €45 for a meal including wine, a 3 course diner and coffee! Simply exceptional. 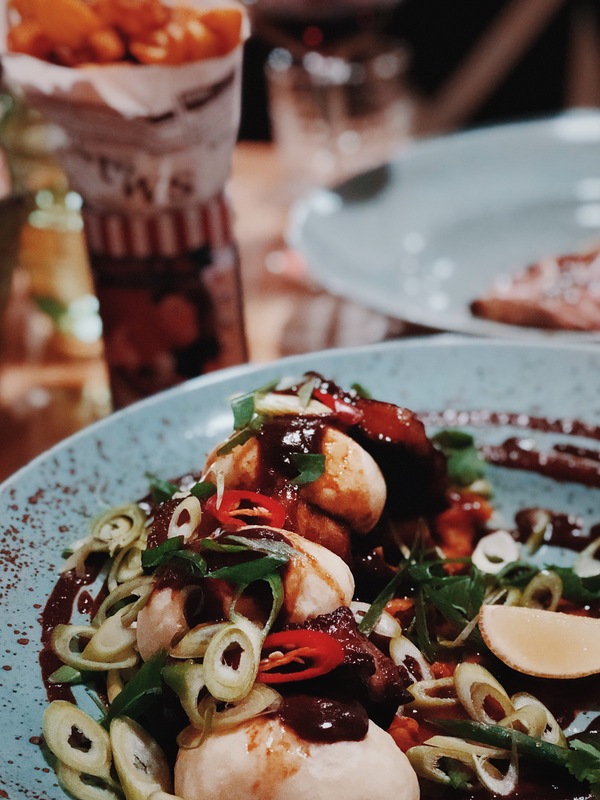 Unfortunately we weren’t able to visit this restaurant but I would really like to recommend it as the reviews speak very highly of this place with regards to service, food and price quality range. It is located in the city center of Prague and is small and cute. Perfect for a vegetarian diner as well. We visited this trendy place for lunch. It is situated in the city center and close by the shopping area. The interior is trendy and modern – with a traditional touch. The service is very friendly and patient. We tried a green curry, Cesar salad and a noodle soup (best ever), with 2 smoothies to share! It was amazing as you can tell by looking at the pictures. We spent around €30,- for all this. This small and cute little restaurant is located a little outside the city center – behind the Old Town Square and really serves the best pancakes! We might have had our fair share of pancakes – this really blowed my mind. They are very slim, super tasty and very cheap too. For one portion of the BLT pancakes, you only pay 6,95 euro’s! So, please make sure to drop by when visiting Prague. This little coffee shop is situated just next to the Carlsbridge and serves the best coffee and sandwiches. If you don’t feel like sitting down you can do ‘window shopping’ and just order your coffee outside. Very cute and nice place! For amazing crepes and the traditional Czech Trdelnik you should visit this place. They serve the Trdelnik warm and you get to choose the filling – whether it is Nutella, white chocolate, ice-cream or whip cream. Perfect to go or sit down. We also had lunch at this lovely place and decided to share 3 different crepes: smoked chicken with mushrooms, smoked salmon and scrambled eggs with bacon – and 2 homemade lemonades. Again very affordable and great staff. Who doesn’t know the famous Karlsbridge – and you definitely should. Just stroll across the bridge and take shitloads of pictures – like I did. The two towers on each end of the bridge are spectacular and true eye-catchers. Just a little piece of advice; visit the bridge in the early morning whilst everyone is still asleep to take gorgeous pictures and avoid the masses. One of the most gorgeous squares I have seen as no house is alike. So many different colours, types of buildings and structures. Check out the cute carriages, visit the observatory or have a drink at one of the many terraces. 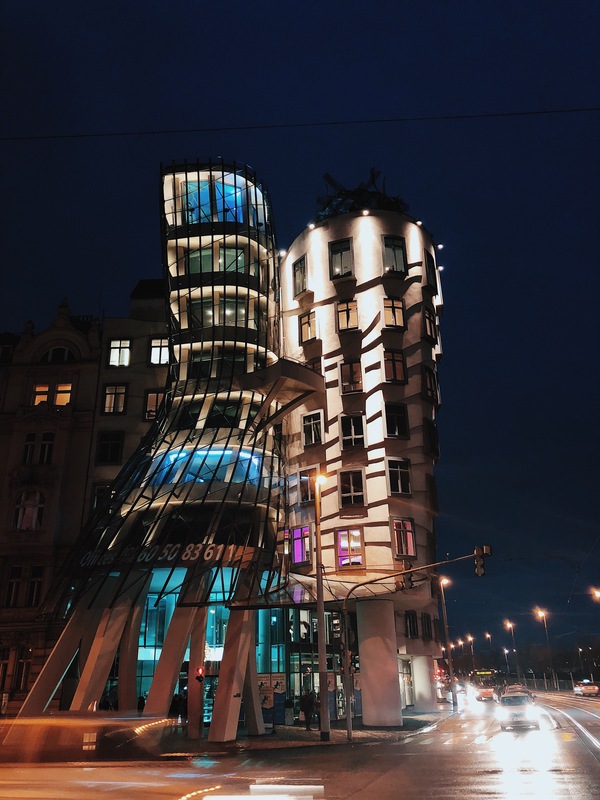 As a lot of people aren’t familiar with this highlight – including Czechs, I just have to share this piece of architecture magic. This house truly looks like a dancing house and accommodates a hotel and restaurant. Besides the exterior there is not much to see but worthwhile a visit. A definite must is a visit to Prague Castle – by far the largest hotspot to see. Situated on a hill is provides you with staggering views overlooking the city. It accommodates multiple cathedrals, a palace and the ‘golden lane’ with cute small houses. Visiting this castle – you will be occupied for a few hours. If you are interested a little bit of history – just as I am, the Jewish Museum is definitely worthwhile your visit. It is a museum divided over multiple locations as you will visit several synagoges – as part of the tour. It includes 4 synagoges and the impressive graveyard. At this graveyard, more than 100.000 are buried – mostly during WW2 when they were forced to live in horrible circumstances. It is a very impressing sight and hard to believe. Most definitely the most impressive thing to do in Prague. Besides walking across the bridge u get to climb one of the Karlsbridge towers too. This. viewpoint provides you with a staggering view over Prague. On one sight the river and the Prague Castle and on the other side the old city center and the 2nd most ugliest Tower in the world. As you can tell by looking at the pictures, it is a pretty amazing sight. Tickets are €4,- for adults and €2,90 for students and no need to book in advance. Unfortunately we weren’t able to visit due to reconstructions – but it was highly recommended as this is the most beautiful library of the Czech Republic (according to many people). With your purchase to the ticket – you are also allowed to access the 68 meter tower that provides a gorgeous view overlooking the city. If you are lucky enough that the library has opened, make sure to pay a visit and let me know haha! Take the Ujezd rail to the top of the hill and climb the ‘mini Eiffel Tower’ for an amazing 360 degrees view over Prague. The TV-tower might move during windy days and you can climb it for a small fee. Eventhough we preferred the view from the Castle and Karlsbridge, it still is an impressive view. The rail however is a very nice ride with a stunning view. As the Czech are one of the highest beer-consuming people on the globe – you have to visit one of these spa’s where you get to enjoy unlimited beers whilst taking a bath. No, not a beer bath! Prices starting at €82,-! For bookings and more information, click here. Accommodation is key when visiting cities. Because it was our anniversary weekend I really wanted to go for the extra mile – looking for a traditional yet trendy place to stay. The hotel has a 9.4 and 4-star rating on Booking.com. The hotel has been fully redecorated in 2016 and it looks stunning. The exterior is a traditional building with gorgeous details and colours (check the pictures). They surprised us with a 2 bathroom and en-suite living room suite – which was gorgeous. Service is very very good! Prague is famous for its affordable prices and the hotel surely upheld this name. We only paid €178,- including breakfast for 2 nights. Rates starting at €72,- a night incl. breakfast! (for bookings click here). make sure to book in advance as the hotel is one of the most wanted hotels in town. For the best views and the most luxurious stay I can recommend the Four Seasons, situated alongside the Moldau river. If you are on a low-budget trip and are okay with providing your own food – definately check out AirBnb as these rates are very affordable as well. They have very affordable citytrip discounts throughout the year – starting from 159,- for 2 nights incl. flights. All in all I most definitely will come back to this gorgeous city and its history. 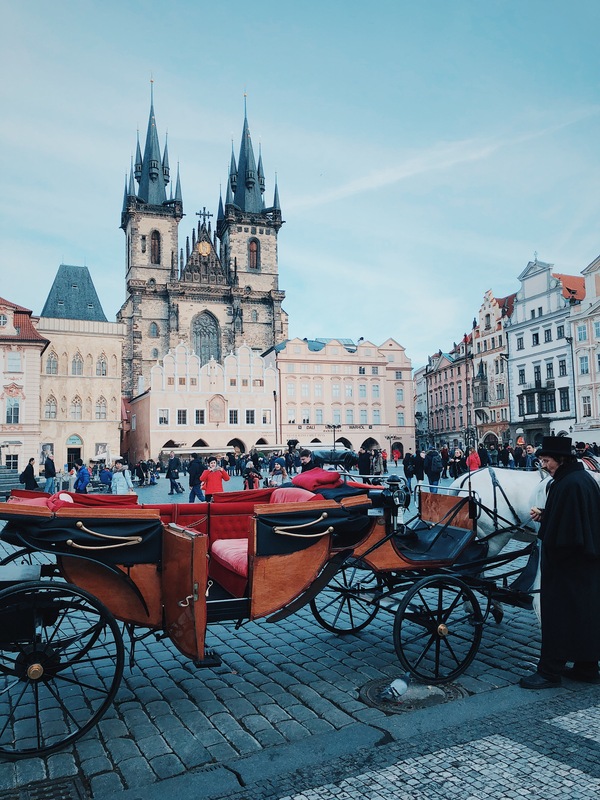 Czech people are very hospitable and friendly – its affordable prices makes it THE budget city of Europe, obviously from the ones that I visited. Let me know what you guys think – and whether I missed something. Ofcourse I had to make a selection and focused on most things that I have seen.